Good Choice Reading: Cover Love: Starling by Leslie Livingston! 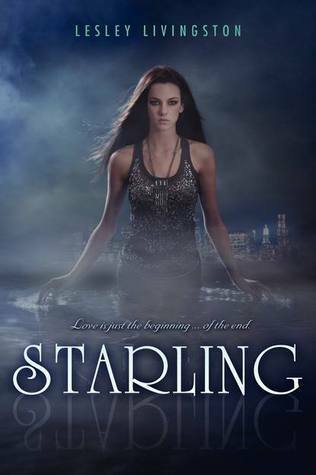 Cover Love: Starling by Leslie Livingston! I've never read Leslie Livingston's Wondrous Strange series so I am not familiar with her work, but this cover scream READ ME! LOL I think I am going to check out her other books before this one comes out. Love this cover! She is having a giveaway on her blog now where you can win all three in the series signed. Check it out... COVER REVEAL & GIVEAWAY. Have you read Livingston's Wondrous Strange series? Do you recommend them? It does scream "Read me"! Sweet cover! Good pick Damaris. Oh this sounds really good! Now I'm excited and adding this one to my wishlist! Looking forward to it! Me too! How hot is this cover? I love that she is walking through water lol. I'm so glad I saw this I LOVE LOVE LOVE the Wondrous Strange series so much. They are absolutely wonderful reads. I'm going to have to request an ARC for this one and I really hope Ill get it. Thanks for posting about the giveaway, so going to enter! Read them!!! The guy Fennrys Wolf actually is a side character in Wondrous Strange trilogy.